Painted in 2016 by Cim MacDonald. 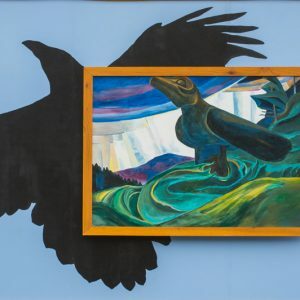 The raven is an important symbol in First Nations cultures of the Northwest Coast. The bird stole the sun, moon, and stars for humans, bringing light to the world. It also had supernatural powers and used them to obtain important things for humans, such as fresh water, salmon, and fire. Known as the Keeper of Secrets, Raven possessed knowledge of hunting and the world, and shared these secrets with First Nations peoples. 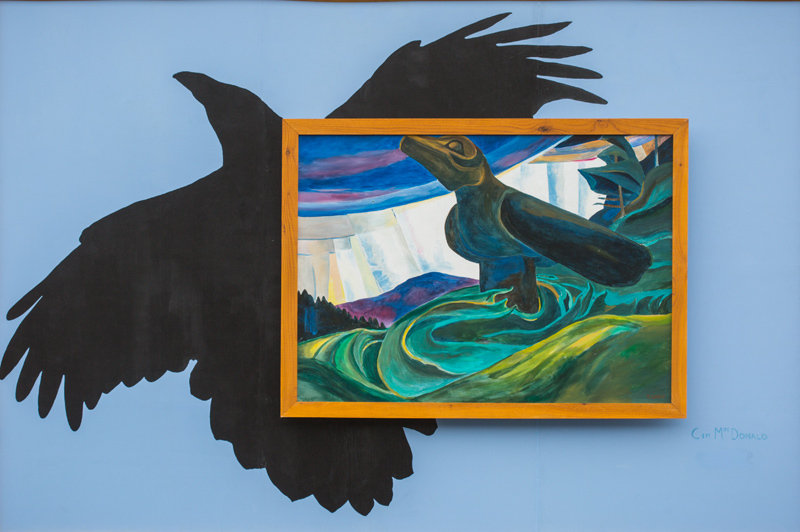 The mural contains a reproduction of Emily Carr’s Big Raven.